Green Party Leader Elizabeth May is led from the Burnaby, B.C. Kinder Morgan site on Friday, March 23, 2018. VANCOUVER -- A B.C. 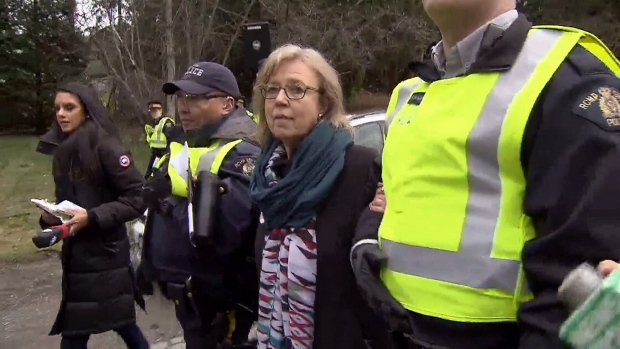 Supreme Court judge says the Crown should consider laying criminal contempt of court charges against Green party Leader Elizabeth May and dozens of other demonstrators alleged to have violated a pipeline court injunction.